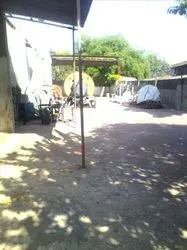 Manufacturing and Trading of Industrial Extruder and Machines. 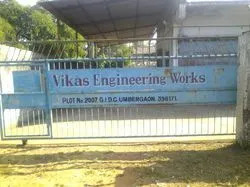 Established in the year 1987, we,"Vikas Engineering Works" , are one of the prominent organisations engaged in manufacturing and supplying a premium quality range of Industrial Extruders, Armouring Machines, Stranding Machines Cater Pillar Machines among others. Our organisation has established itself amongst the leading organisations by sheer hard work and consistent endeavours. We hold immense expertise in this domain and always aim of gaining maximum customers' satisfaction with our efficiency and accuracy. Backed by an intelligent and diligent team of professionals, we consistently strive to stand tall on the customers' expectations Moreover, we offer these products in an affordable price range for the customers' convenience. We continuously develop new designs and update our technology to fulfill the ever changing needs of our customers. Our production unit is equipped with some of the highly advanced equipment and tools to deliver the best quality outcomes at our clients' end. Backed by experience and efficiency of our team of professionals, we successfully deliver these bulk orders in the prescribed time frame. Hence, over the years, we have developed long-lasting relations with our customers Our customers trust our abilities and revert with repeated orders. 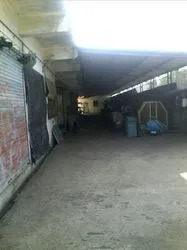 We have gained immense success under the visionary guidance of our proprietor 'Mr. Santosh Sharma’, who possesses vast knowledge and rich industry experience. His relentless efforts and professional work ethics have helped us grow in leaps and bounds. We are instrumental in offering a wide array of Industrial Extruders, Armouring Machines, Stranding Machines Cater Pillar Machines among several others. With our immense expertise and intelligent team of professionals, we are successfully delivering a high quality range of products at our customers' end. Besides, we are well-versed with the current strategies and market trends that helps us fulfill the needs and desires of our customers Moreover, we also ensure timely delivery of our products to offer hassle free after sales services. We own a well- equipped, state-of-the-art infrastructure in order to execute all our business operations in a streamlined manner. To fulfill the ever changing needs and requirements of our customers, we continuously upgrade our products. Our production unit is well-equipped with robustly constructed machines and equipment to produce the maximum quality outcomes. We hire highly experienced and trained experts, who efficiently manage the activities of these departments. We have some of the most talented, intelligent professionals in our team. These professionals our well-versed with the demands and desires of the customers and hence strive to accomplish the requisite goals in a prescribed time frame. Moreover, all our professionals work in close coordination in a healthy work environment for providing an effective productivity. Besides, training sessions and workshops are conducted at different intervals of time to enhance their skills and knowledge.